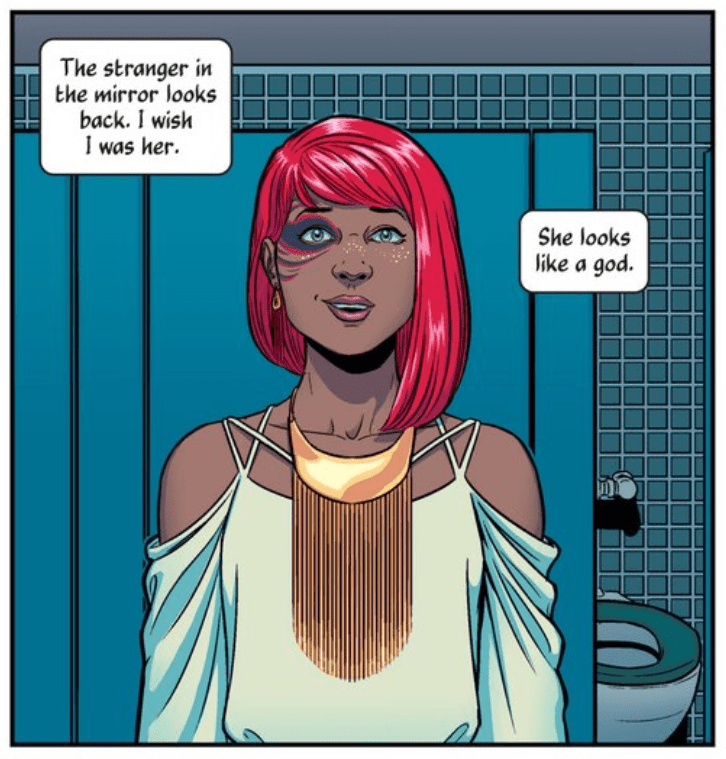 Since I was disappointed with the modernized pantheon of Wonder Woman last week, I figured I’d try the deities theme again and review The Wicked and the Divine this week. The Wicked and the Divine is a very new modern fantasy series written by Kieron Gillen and illustrated by Jamie McKelvie that was just released last year. The second volume came out about a month ago so for the purposes of this review I’ll be covering the first two volumes which encompass issues one through eleven. The Wicked and the Divine is a reimagining of the standard gods amongst humans storyline. In this version, a pantheon of twelve gods are reincarnated as pop stars every ninety years in an event known as the Recurrence and are given a mere two years to live. Each god has different abilities which they use to entertain and enthrall the rest of humanity and live life to the fullest while they have it. In this particular Recurrence cycle, things start to get interesting when an assassination attempt is foiled by Lucifer (Luci) in such a brutal way that the authorities must intervene. When the judge presiding over the case is murdered, it’s up to a young fangirl named Laura to find out who’s responsible before Luci and the human justice system go head to head. The Wicked and the Divine is one of those books that is both confusing and enthralling from the first page. Gillen spends the first half of the series so far building a diverse, insane pantheon and only gets around to world building in the second half. As a result, there’s a fair amount of the series where the reader has no idea what the hell is going on with these gods. If you don’t enjoy mystery or have a problem with not knowing everything, this is not the series for you. However, the pantheon is truly fascinating. Gillen brings together gods from a number of different cultures so it ends up having standard Greek gods rubbing shoulders with Levantine, Mesopotamian, Nordic, Celtic, Shinto and even just plain old occult gods. The ways in which the gods interact and fight with each other felt real and less like a soap opera than something you’d expect to see on the pages of People magazine. One of the things that this series does really well is its treatment of celebrity. It’s very cynical but the dark humor of these gods who see the best and worst in the devotion of humanity was highly entertaining. I don’t often say this about a graphic novel series but this one’s greatest strength is without question the artwork. 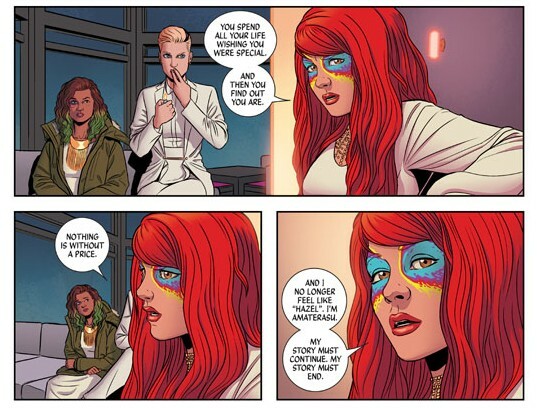 The plot can get murky and occasionally nonexistent at times but McKelvie as illustrator and Matthew Wilson as colorist deserve a lot of praise for the stunning pages they’ve laid out here. It’s an insane combination of pop stars like David Bowie and Lady Gaga with a pop art style that’s brilliantly colored. Gillen’s writing is good but this series would not merit the kind of hype and praise that it’s getting without this gorgeous artwork. 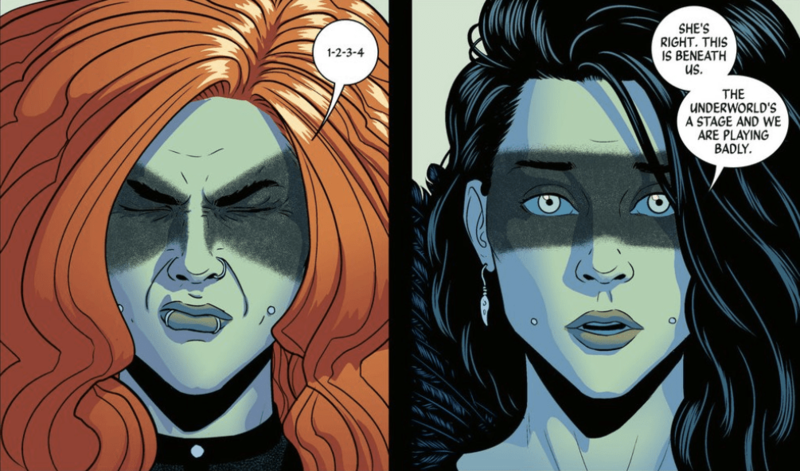 It’s not often that a series will make me stop reading just to admire how pretty the pages are so these artists deserve a lot of credit for the popularity of The Wicked and the Divine. 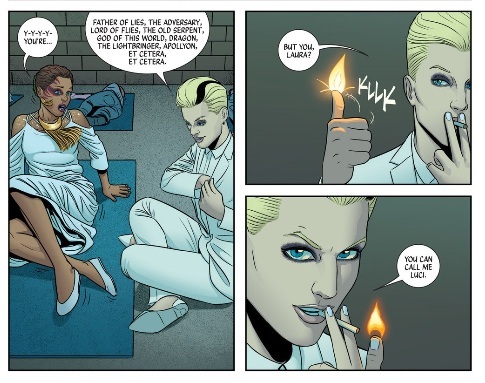 The Wicked and the Divine isn’t a series that I’d recommend to everyone. The world building is slow and sometimes confusing so it’s not a great one for readers who want fast-paced action and clear cut storytelling. However, if you enjoy myth making in a modern setting and artwork that will make you want to plaster it on your walls, The Wicked and the Divine is well worth your time. ← A Bard’s Eye View: Meaner Than the Average?